In 1940, Sigurd Golten took his last $200 and purchased a second-hand lathe, This was the start of Goltens, a company that, for six decades, has been an innovative leader in developing methods for fast, efficient, diesel engine repair. 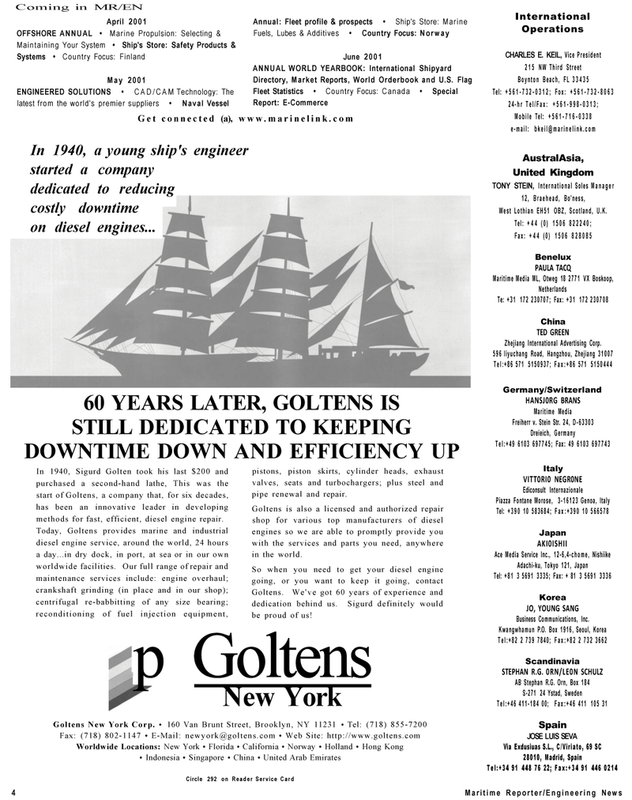 Today, Goltens provides marine and industrial diesel engine service, around the world, 24 hours a day...in dry dock, in port, at sea or in our own worldwide facilities. Our full range of repair and maintenance services include: engine overhaul; crankshaft grinding (in place and in our shop); centrifugal re-babbitting of any size bearing; reconditioning of fuel injection equipment, pistons, piston skirts, cylinder heads, exhaust valves, seats and turbochargers; plus steel and pipe renewal and repair. Goltens is also a licensed and authorized repair shop for various top manufacturers of diesel engines so we are able to promptly provide you with the services and parts you need, anywhere in the world. West Lothian EH51 OBZ, Scotland, U.K.